The surgeon uses laparoscopy (which involves small incisions on the belly) to place an adjustable lap band around the upper part of the stomach. The lap band which is made of silicone, squeezes the stomach to the size of an hourglass, appearing pouch with about an inch-wide outlet. 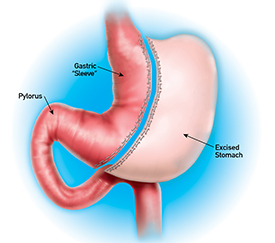 Gastric banding involves the laparoscopic placement of a silicone band around the upper portion of the stomach. This band divides the stomach into two sections, a small upper pouch above the band and a larger pouch below the band. The band can help you achieve long-lasting weight loss, by limiting your food intake and reducing your appetite. Adjusting the size of the opening between the two pouches of the stomach controls how much food passes from the upper to the lower section of the stomach. The stoma between the two parts of the stomach can easily be decreased or increased, by injecting or removing saline from the band. The band is connected by a subcutaneous port, placed under the skin. Gastric band is the least invasive surgical recourse for weight loss. Intestinal re-routing isn’t conducted while using a gastric band. There are no cuts made in the stomach or bowels during the surgery. These incisions are small & minimal scarring is involved. It’s a 30-45 minute procedure, with minimal scarring. Most patients are back to work within a week. The lap band is adjustable according to the individual’s need & weight loss rate. The side effects and risks associated with gastric banding are minimal as compared to gastric bypass. 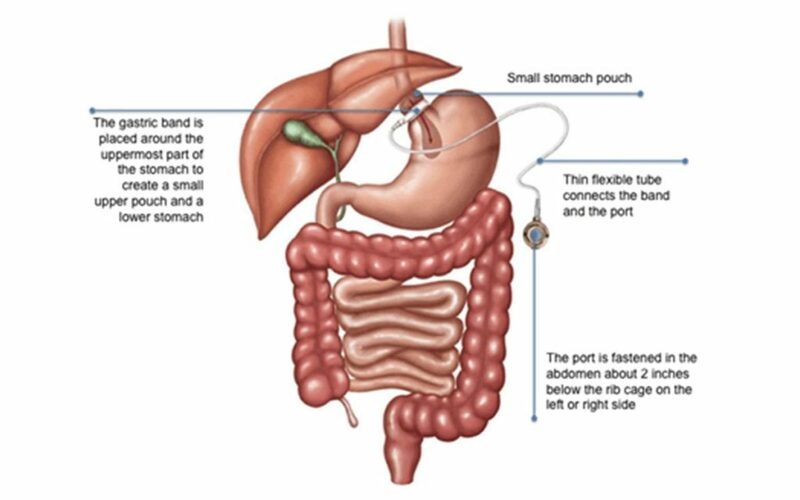 The lap band is removable and the stomach can return to it’s normal size, as the anatomy of the stomach is untouched. The band may slip or get eroded. It may require re-operation & prolonged hospital stay. There have been port problems in about 4% of the case. Two kinds of problems are faced. The first is dislocation of the port, It may move around, turn up-side-down, thus it is necessary to adjust it. The second problem is perforation of the connecting tube close to the port. Some patients have extra fat over the chest and it is, therefore, difficult to hit the ’ bullseye’ with the needle and the tube can be accidentally perforated. This leads to fluid loss, widening of the opening and subsequent weight gain. As with any other surgical procedure, even in the Gastric Band surgery, there is an element of risk involved. Though all the measures would be taken to prevent any complications, that may occur, there is a possibility of experiencing certain side effects at some point. This is the most commonly reported side effect, that the patients experience. This can be easily alleviated by adjusting the tightness of the band. The possible reason behind this could be vomiting due to eating a large volume of food which might cause the band to slip out of its correct place. Band slippage is very rare and can be easily avoided by taking careful post-operative aftercare. According to research, this complication is experienced by less than 0.5% of the patients. It generally occurs when the band erodes the outer wall of the stomach. 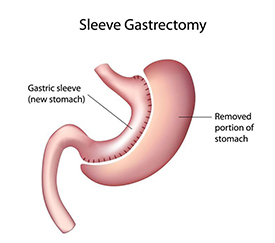 This can be treated by removal of the band or by converting to Gastric Bypass, Gastric Sleeve, or Duodenal Switch. 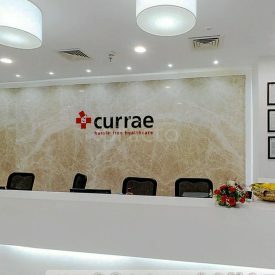 At Currae hospital we offer an unsurpassed service to each of our patients. 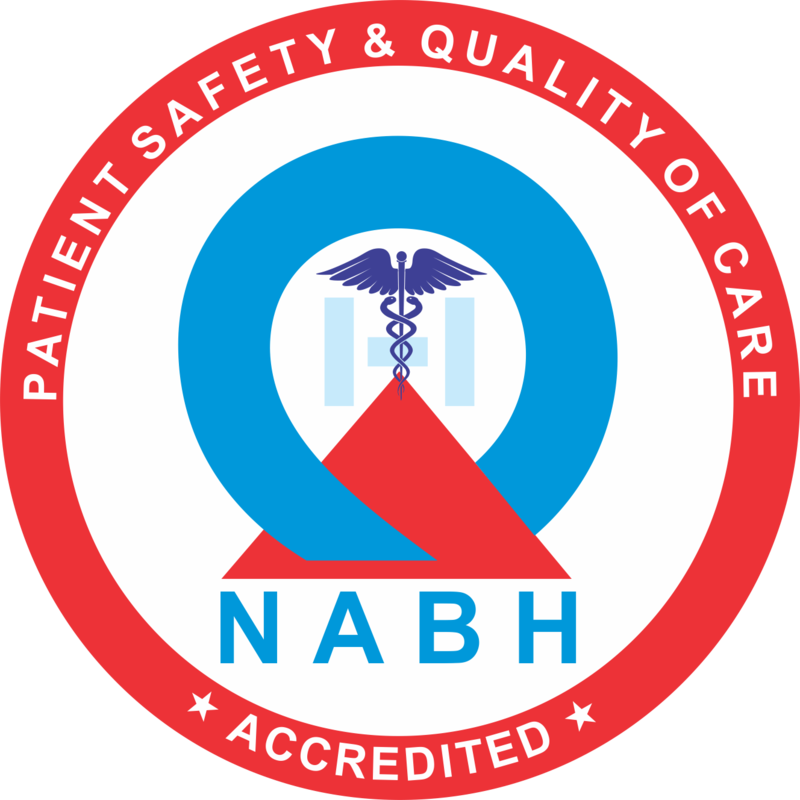 We here understand that every patient is unique and they are probably going to have distinctive necessities and requirements. 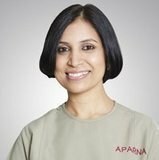 We completely understand how overwhelming this can be and our consultation service will help you with all the answers you require before going through the procedure. 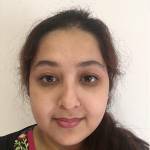 Is it safe to have Gastric Band Surgery? 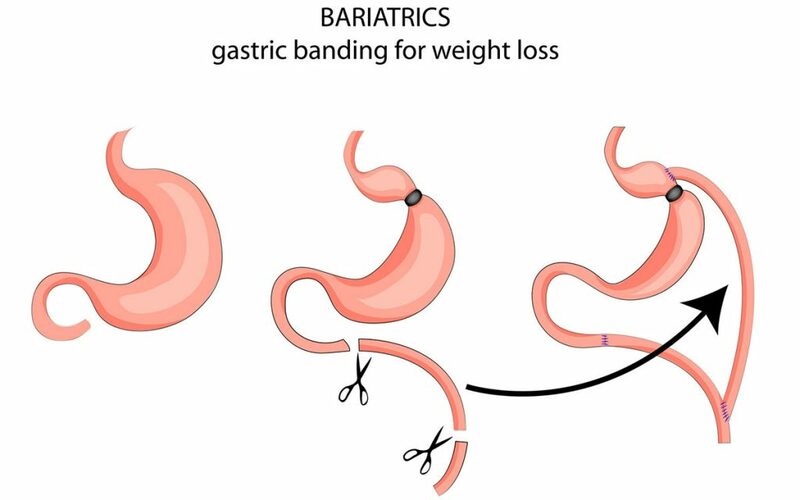 Although the Gastric Band Surgery involves minimal complications, pain, and scarring, considering your medical history, this suggestion is best made by your consulting doctor. It has been observed that this surgery involves a quick recovery. 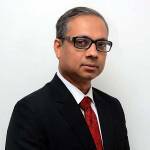 Can I develop any allergies due to the Gastric Band Surgery?Research shows that there has been no such reported case till date. Will this surgery cause me any discomfort? Generally, the lap band is only felt while eating, though during the recovery period you might feel the access port. Once the healing process completes, there is a very little chance of feeling any sort of discomfort unless you go through the band adjustment process. Will I feel hungry or deprived of the Lap Band? You may observe a change in your hunger cycle which can lead to a difference in the volume of the meal being taken. Even a small meal may keep you satiated for a long time. For the initial three to four days post-surgery you will be required to follow a strict clear liquid diet. After you get into the recovery process, it is recommended to have small quantities of food. Though there are no reports of complications in pregnancy due to this surgery, it recommended consulting the specialist in case you are planning a pregnancy. The band does not require to be removed in case you get pregnant. 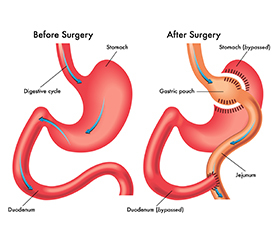 The term Metabolic Surgery is used to describe weight loss treatments and procedures to treat metabolic diseases, especially, type 2 diabetes.Gastric Bypass and Biliopancreatic diversion.